[s:1dzi7i0k]Does anyone want my order from AmiAmi? 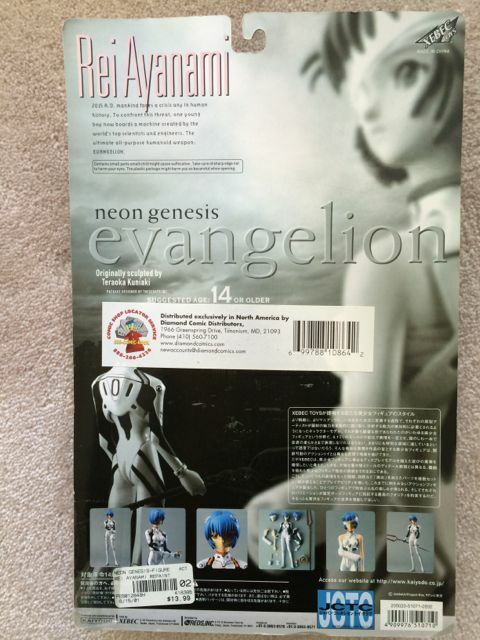 I initially ordered a Rei Ayanami Vol. 6 figure by SEGA (measuring approximately at 20cm tall) but I'm currently on a budget so I'm more than happy to give away the order to anyone. So my Robot Damashii Unit 00's waist ball joint is buggered. The thing can't hold together at all anymore, and whilst the rest of the figure is functional, my attempts to fix it damaged the paint. So, I'm looking for a replacement.
} JOINTS MUST NOT BE LOOSE. I would prefer a figure that is tight without modification, but if you can tighten the joints without risking damaging the joints or potentially causing problems as the figure ages then that's OK. As long as it isn't super floppy. The waist/pelvis ball joint takes priority in tightness, as this was the joint that failed on my current one. }Box does not matter as I already have the old box, however it should be suitably packed during transit to prevent breakage. I'd prefer to pay a price of around £40, although given its rarity I am prepared to pay up to £60 if necessary. Remember I am only after the actual figure. Contact me by PM if you have an offer. NOTE: I'm under 18 and thus do not have a credit card, so please make allowances for that. Hi, I hope this is okay to post here. 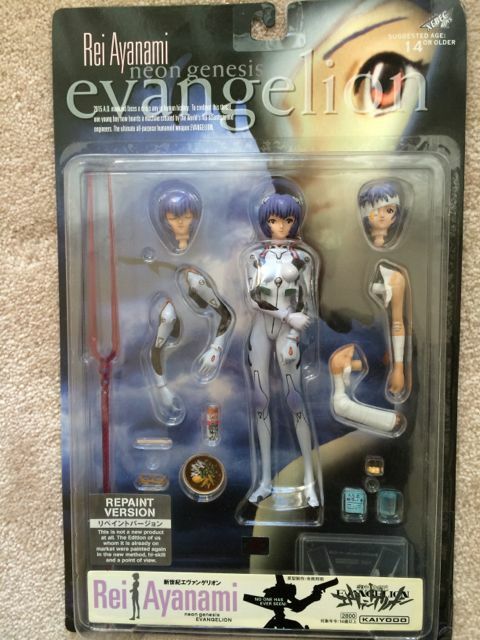 I'm selling a complete unopened set of 2001 Kaiyodo EVA action figures. [s]You can buy the 400% Kubrick here. [/s] Sold. Last edited by Dataprime on Sat Aug 23, 2014 6:50 pm, edited 1 time in total. 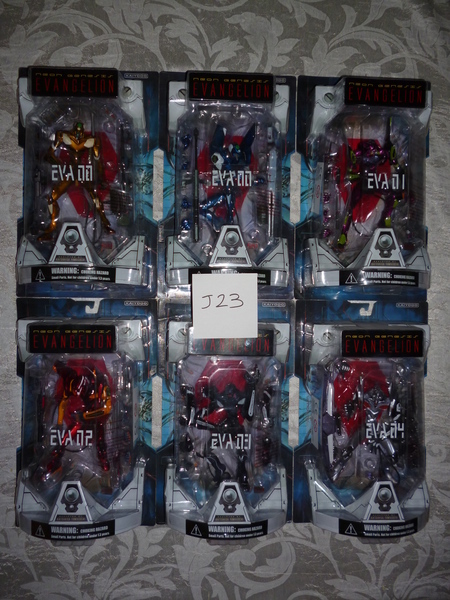 Im looking for all the RD Evangelions at a reasonable price.I currently have 01 and 02 beast. 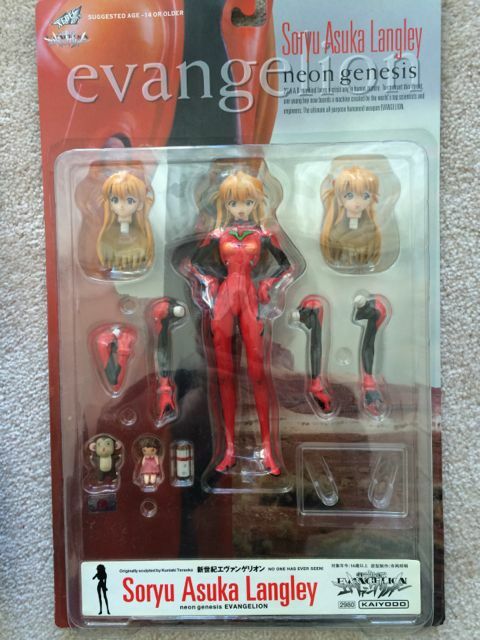 I relisted the EVA action figure set, with a ridiculously low starting price. I've always wondered, what's the difference between these and the blister pack versions that came out around the same time? Eva-00 is the only one I have in a tube package but I have the rest in blister pack form. PSP Eva: Jo still for sale. PM me your best offer! Last edited by Strings on Sat Sep 20, 2014 10:28 pm, edited 3 times in total. [s]Sup. I'm trying to get rid of my copies of Paradise Lost volumes 1 and 2 (pictures and details at link; I'm not intentionally promoting eBay, I'm just tired and lazy). Yes, they're pornographic; don't look at me like that! I bought them for the satire! (No, really, I did.) I'd like to get at least $10 for each one, but I'll go as low as $5 if I have no other options. 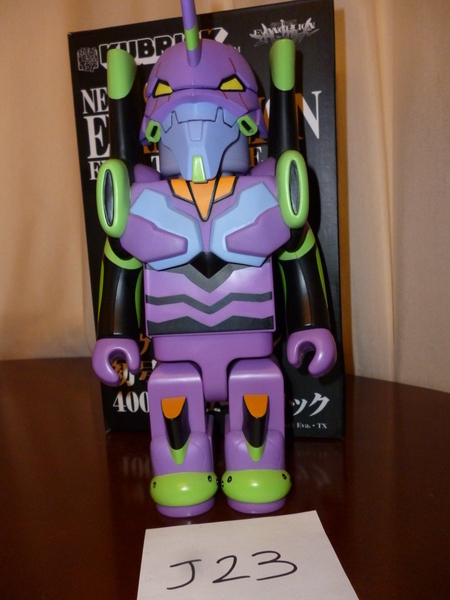 Anyone selling an RD EVA 01 upper chest (pylons and all)?Ill take a full RD, but only need the upper torso. I need a new car, so I'm selling my RAH NEO Unit 1. $300 shipped in the US. It's the second release. Can anyone tell me if any of these are worth anything, and if there's any interest in them. Otherwise, I'll just chuck 'em up on eBay with no minimum. 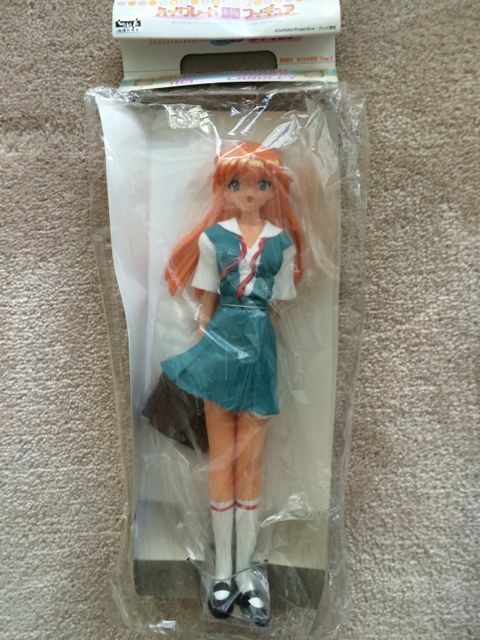 First is this Asuka doll by Sega. Here's the header so that you can see she's an officially licensed product. The back of the card says '2002 Made in China'. She's about 12 inches tall, and doesn't seem to have much articulation. Next is a Rei figure from Xebec / Kaiyodo. Mint on Card, never opened, about 6 inches tall. Last is an Asuka, in the same line as the Rei, same condition, etc. Let me know what you think, folks. Are these bootlegs? If they are, they look pretty good for Bootlegs. Ray wrote: Are these bootlegs? If they are, they look pretty good for Bootlegs. I'm almost positive they're not bootlegs, they're just pretty old (2002 or so). 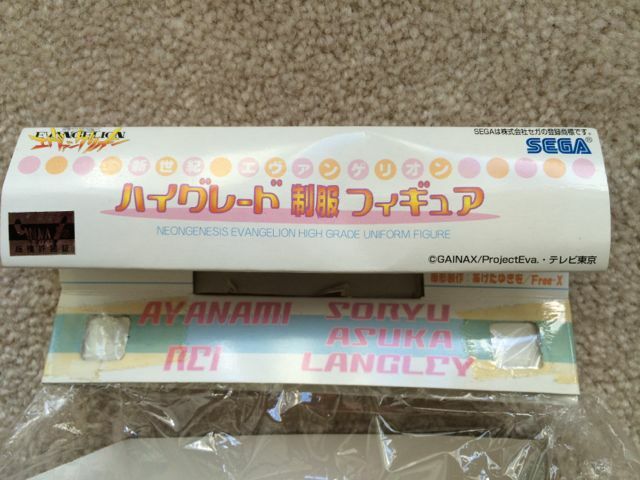 The Asuka doll has the Sega logo, the Evangelion logo, and the Gainax hologram sticker. The two action figures also have small Gainax stickers on the packaging, and the quality is too good for bootlegs (I have another Rei that I have opened.) 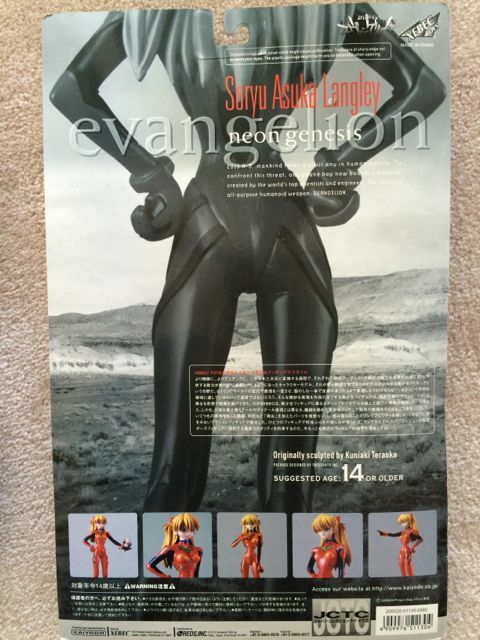 They came out the same time as the Kaiyodo Eva figures that were posted earlier in this section. I have those 2. They're not bootlegs and are part of Kaiyodo's Xebec line that came out 10+ years ago as mentioned. Last edited by eva 01 night kubrick on Wed Oct 29, 2014 12:01 pm, edited 1 time in total. I decided to put up the EVA action figure set one more time. I believe the starting bid is really low. Please read the listing carefully before bidding. The shipping cost is rather high to locations outside Europe. Selling my copy of "Genesis 0:X" Laserdisc, $70 shipped in the US, PayPal only. Last edited by svenge on Sun Feb 08, 2015 4:39 pm, edited 1 time in total.